Taking over from Marella Dream as the line's newest and largest ship, the 1,830-passenger Marella Discovery set sail on its maiden voyage from Palma de Mallorca in June 2016. It was joined by a sister vessel, Marella Discovery II, in April 2017. The ship was reborn sporting a brand-new look and feel, with a modern wave design on the hull, brightened up interiors and a number of new features including speciality restaurants, several new bars, and redesigned public spaces. Gone is the dark and dingy casino, replaced with the light and colourful flagship Live Room bar. Dining areas sparkle (with the exception of the still rather dowdy buffet restaurant), and updated cabins are modern, clean and comfortable. 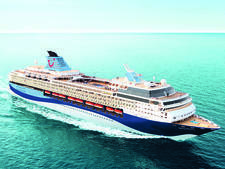 A minnow compared to most of its contemporaries, Marella Discovery won't be overwhelming for first-timers, while still managing to squeeze enough in to keep the more seasoned cruiser happy. 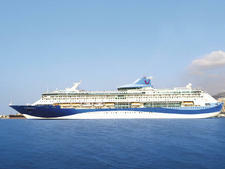 Marella Cruises (nee Thomson) is in fact the U.K. cruise brand of German giant, the TUI Group, but despite its German owners -- the vessel is as British as cod and chips. Expect British-brand teabags (both Yorkshire and Twinings), bottles of HP sauce, and John Smith's by the pint. While still offering plenty of mainstream mealtime favourites, dining on the Discovery has seriously upped its game, in both its free and speciality offerings. Its main dining room, 47°, backs up glittering surrounds with excellent food and service, while the Surf & Turf Steakhouse would compare well with any land-based eatery. Service throughout the ship (from the mostly long-term serving crew) is efficient, smiley, and super-friendly -- expect to be on first name terms with some by the end of the cruise. Although largely lacking the way of hi-tech wizardry or state-of-the-art showstoppers, the likes of virtual dance classes and touch-screen booking technology do lend the ship a distinctively 21st-century feel. While billed as family-friendly -- and it largely is -- parents with younger kids might struggle to keep their tots entertained. The ship was a deserved winner of the 2016 Editors' Picks Awards for Best New Ship, and the move (in 2017) to the ship going all-inclusive has cemented its appeal as a great all-rounder accessible to most budgets. 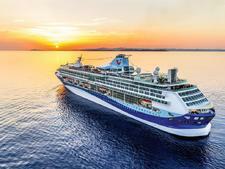 Passengers onboard Marella Discovery hail almost exclusively from the British Isles. 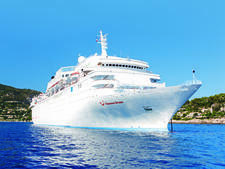 As well as a strong leaning towards retirees, typical cruisers also comprise working families with young kids and teens, together with the occasional young couple. 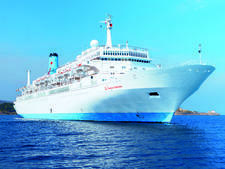 Thanks to the trust in the Thomson brand (as it was), it's a popular pick with first-timers, though most passengers already have at least a few cruises under their belt. There's been a concerted shift to a more casual approach to dress on the Marella Discovery. While scruffy is certainly not de la mode, younger passengers lean towards a relaxed mix of jeans, t-shirts, and the odd piece of sportswear; more senior cruisers tend to stick to smart casual. There's still opportunities to break out the glad rags, with the traditional Captain's Gala Night replaced with a Dress To Impress evening; fancy gowns and tuxes aren't compulsory, though plenty seize the chance to pull on their best. The main restaurants -- 47° and Gallery 47° -- don't allow vests, shorts, or swimwear, and the two a la carte eateries and cocktail bar require collared shirts (with or without tie). All tips and service charges are included throughout (a policy guests are even reminded on their cabin door keycard). The ship operates a cashless system onboard, meaning passengers sign for all purchases made; the recommended payment method is by debit or credit card registered at check-in. Onboard currency is pound sterling.